Description 1976 - 1977? Note on front: Scratches not on negs.... Negatives included. Left row: Steve Turner, Reference Librarian. 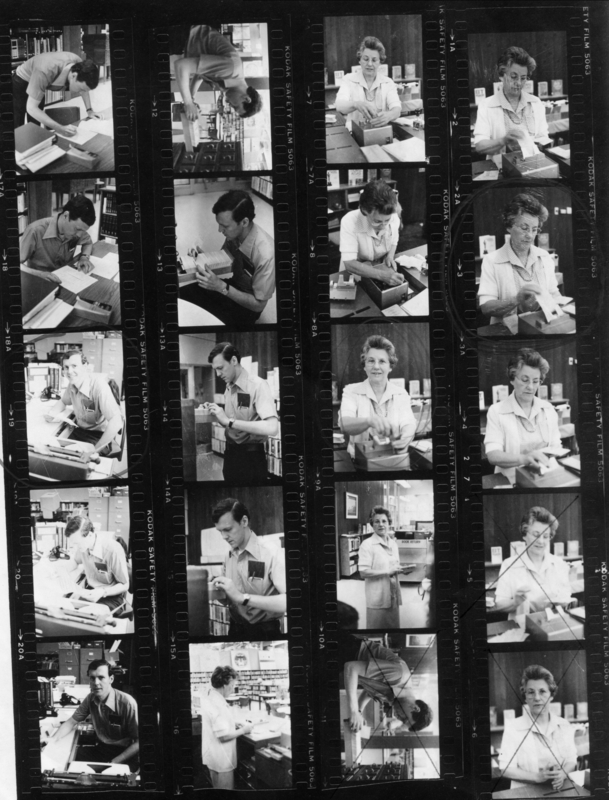 2nd row, top: Steve Turner; bottom: Margaret Ritzheimer, Clerk. 3rd row, top: Margaret Ritzheimer; bottom: Steve Turner. 4th row: Margaret Ritzheimer.